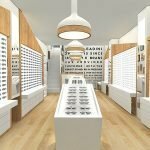 Hey, guys, are you looking for good optical store design? are you still worried can’t find a right optical display rack? the unique kiosk as a direct manufacturer, we mainly work on the design and customized differently types of optical store design and optical display fixtures. 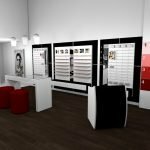 In this article what I wanna share is a very modern optical store fixture. 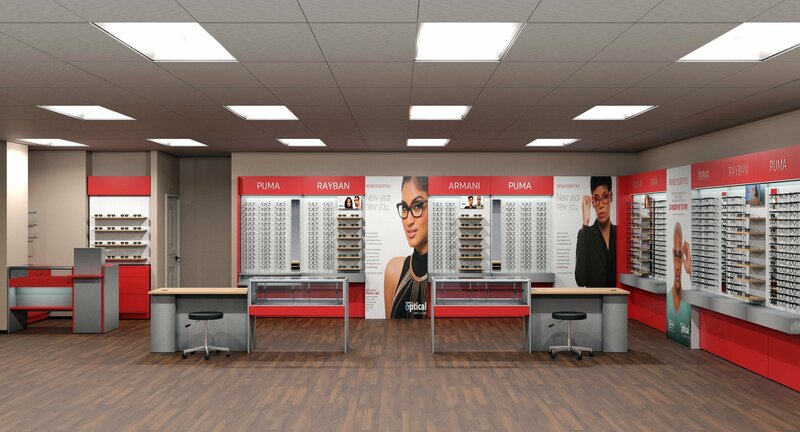 if you’re interested to start your optical store business. Please follow me for a few minutes for more details. Size: 100sqm or customized based on your store measure. Color: white, red or customized. Service: sunglass, myopic glasses, presbyopic glasses. Vision measurement. 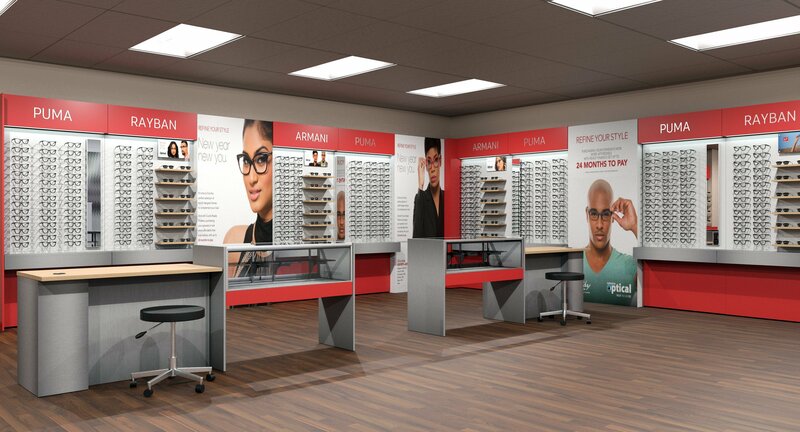 As you see the whole optical store mainly tone is white and red, match brown wood grain floor and white ceiling. it’s very modern and tidy. in the middle of this store is the same tables and chairs. mainly for customer try on glasses and rest. You can see the whole store three sides with high wall display rack. match acrylic Tank wall and wooden display shelves. each display top part with an acrylic letter for interduce the glasses brand, in the middle with many big poster showings. looks very nice and attractive. Thanks for your time and reading, if you’re interested to start an optical shop or wanna see the more related design, also can check our optical store fixtures page. welcome inquiry!